If your tooth is in such bad shape that even restorative procedures like a root canal can’t save it, your dentist may decide that extraction is the best choice. Simple tooth extractions are common; they can prevent further pain in diseased teeth, or help manage deep infections. They may even be used as part of an orthodontic treatment when tooth crowding prevents normal function. 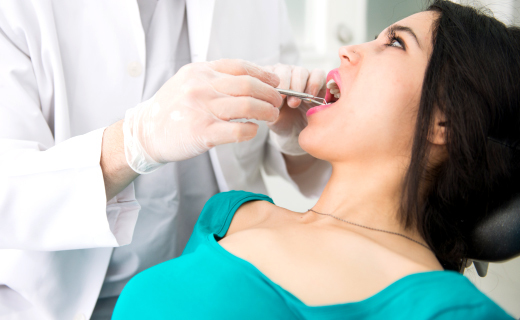 Before your dentist extracts your tooth, you will receive an injection to numb the area. You may experience a feeling of pressure or a pulling sensation during the procedure, but it shouldn’t be painful. After the tooth is pulled, the extraction site will bleed; a blood clot will form to fill in the area and help it heal. Let your dentist know if you experience excessive bleeding, pain, or swelling. To reduce swelling, apply ice or a cold pack. Be extremely gentle when brushing your teeth or rinsing your mouth. Eat soft foods as recommended by your dentist. Find an affordable dentist in The Village of Cross Keys if you need to have a tooth removed. Don’t procrastinate—waiting too long can cause more pain and increase your risk of serious infection. If you can’t afford to see a dentist, consider contacting a third-party finance company, or seek help from your local dental schools.